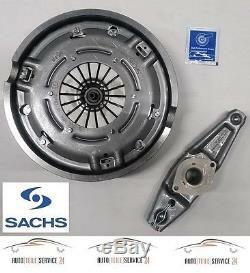 Sachs clutch kit and steering wheel clutch release smart fortwo city coupe 0.8 cdi. This product page has been automatically translated. If you have any questions, do not hesitate to contact us. Clutch sachs kit u steering wheel zms u release bearing smart city fortwo cdi coupe. 1: clutch bags 3089 000 010. 1: outlet bearing the bag 245 000 3189. 1: "bold" bags 4200 080 060. Supplementary article / additional information 2: with steering wheel. Includes ausrucker, pressure plate, clutch disc and flywheel. Please check before buying this product, if it is to use your vehicle. Use the following note when you pick up the vehicle. If you need help here - we are happy to advise you! To avoid compatibility issues, we strongly recommend that you send both data from their cars to the brochure. If the customer information does not communicate, if at all, the withdrawal and / or replacement costs will be made by the customer. Axle front / rear axle. Can be obtained with dhl express next day 99% of the goods in Italy will be within 24 hours after delivery included (48 hours) shipments abroad or on the islands. If you multiple items buy together, the. Shipping is paid only once! The customer does not pay any additional fees depending on the method of payment chosen, with the exception of the mark, which is in this case the variable costs. Customers who require an invoice, will ask you to request to communicate the necessary data when ordering this. Otherwise, an order placed and attached to the receipt. You thought you no longer have purchased items you have 30 days for the malware zurckgeben! Our standard of high quality, it is rare that the items sold are beanstadet by us. Nevertheless, one can come to defects. This is not a problem though. The difference please, be it a complaint about the product (warranty), or if it's a return for any other reason. In addition, you express your wishes on the way if the item needs to be replaced or credited. Descriptive pictures further error would be for prompt processing by us if their content is greater than a written description of the defect. Please return any packages not free us since the origin and the contents of these packages, for us, at the time of adoption is unknown. Warranty processing can take up to 14 days, since the goods the manufacturer must be sent and verified there. Declarations will be withdrawn only under the following address: auto parts service gmbh 24. Negative feedback does not solve the problem. It's easy and fast to solve the problem. Before votes in less than 5 stars ..
a vote with less than a 5 stars just insufficient and undesirable effects on the visibility of the seller. Give us 5 stars and if you are not completely satisfied, write the reasons, treasure of us! Your impressions are very important to us. Help us to grow and improve, to leave your comment positive! Auto parts service gmbh 24. Ergänzungsartikel / ergänzende info 2. 601 0001 00; 601000100 luk. The item "sachs clutch kit and steering wheel stop smart fortwo city coupe 0.8 cdi" is on sale since Monday, August 6, 2018. It is in the category "auto, motorcycle parts, accessories \ auto \ parts \ transmission systems Complete clutch kits. The seller is "autoteileservice24-de" and is located in markgroningen. This item can be delivered anywhere in the world.